What would you like to know about Cambodia's visas and border crossings? 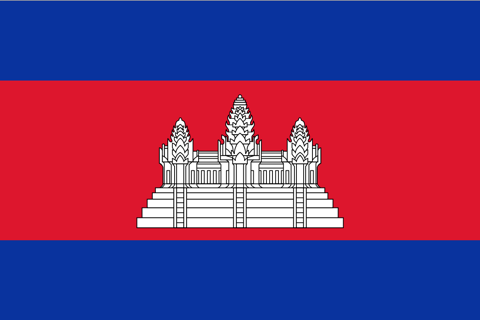 Cambodia has two principal types of visa: (1) the tourist ‘T’ class visa, which is valid for 30 days on a singly-entry basis and can only be extended once, and, (2) the business ‘E’ visa, which is initially also valid for 30 days on a multiple-entry basis and can be extended by one, three, six or 12 months, which you can continue to do indefinitely (at the time of writing in March 2015). The fee for a tourist visa is $30, while the one-month business visa is $35. You can obtain your visa either on arrival, or online in advance as a tourist e-visa, which costs $37 including a $7 processing fee. The tourist e-Visa should take three working days to process and is valid for use for three months from the date of issue. An e-visa will only be accepted at Siem Reap and Phnom Penh airports, Koh Kong, Poipet (from Thailand), and Bavet (from Vietnam). For a visa-on-arrival, you will need to bring two passport photos with you, or you will be charged a $1 "administration fee", and for the tourist e-visa, you need to file a digital photo. Beware that overcharging may occur on overland crossings. You can choose to argue with officials, but the easiest way to get through is to simply smile, be sincerely polite and hand over the correct amount in dollars. While most people get the visa on arrival, if you are planning on entering at Koh Kong, it is worth considering getting your visa beforehand to avoid any "misunderstandings" at the crossing. Given how easy it is to get an e-visa, and as they are valid at the Koh Kong crossing, the e-visa is really the way to go. A tourist visa can be extended once, for 30 days only. The extension costs US$50. Business visas can be extended pretty much forever. The fees are $50 for one month, $80 for two months, $160 for six months and $290 for one year. Both types of extensions take a day or two and are best handled through agents. The main issue facing tourists is that tourist visas can only be extended once. If you are looking at a longer stay in Cambodia, get a business visa. It costs just $5 more, requires no extra paperwork, and can be extended for a far longer period. While it isn't a big deal to overstay a visa in Cambodia, it does get expensive quickly. The base fine is $6 per day of overstay. So for instance if you overstay by five days, you will be required to pay $30 on exit. The main potential problem revolves around buying your visa at the border. Some immigration officers demand that you pay in baht, using a very poor exchange rate (and they pocket the difference). This is a particular problem at the Koh Kong crossing. The easiest way to avoid the problem is to get your visa in advance or don't use the Koh Kong crossing. There is no departure tax if using a land crossing. If you are flying out of Cambodia, departure tax is now included in the price of your ticket. For the latest information on border crossings and to read (or submit your own) traveller reports, please see our Cambodia border crossing page, or the exhaustive Border Crossings FAQ thread on the messageboard, which includes reports from travellers who have recently crossed. The most popular overland border crossing to Thailand by far is the Aranyprathet/Poipet border crossing. To Laos, you only have one option, the Veun Kham/Dom Kralor crossing. To Vietnam, the most popular crossing is the Bavet/Moc Bai crossing. Cambodian visa on arrival is available at all these crossings and Cambodian eVisas are also accepted at these entry points. Cambodian border crossings are generally open from 08:00 to 20:00 with the exception of Veun Kham/Dom Kralor, which closes earlier. On weekends and late hours, don't be surprised if you're asked to pay a dollar or so in "overtime" -- and don't expect a receipt. This is the only overland option between Cambodia and Laos, making it quite popular. Both Cambodian and Lao visa on arrival is available. This is by far the most popular and the most dysfunctional border crossing between Cambodia and Thailand. Cambodian visas on arrival are available and eVisas are accepted. Crossing times can be in excess of three hours depending on the whims of the border officials, but they can also be mercifully fast. Poipet (the Cambodian side of the border) has a major tout problem and it can be difficult to organise onwards transport to Siem Reap at a reasonable price. The Tales of Asia website has an excellent section dedicated to this crossing. A very straightforward crossing, Hat Lek/Ko Kong is most convenient for those planning on travelling between Thailand's Ko Chang and the Sihanoukville beach area of Cambodia. There are numerous reports of Cambodian officials here being particularly troublesome and asking ridiculous amounts of money for visas on arrival. The easiest way around this is to arrive with a visa already in hand. If you need to get to an ATM, there is one in the Thai town of Hat Lek. Expect to pay 80B - 100B for a moto from Ko Kong town to the border -- this should include the bridge toll. This crossing is convenient to Surin in Thailand and Siem Reap in Cambodia. There are a half dozen buses a day from Surin to the border (and back) with the trip taking a couple of hours. On the Khmer side you can either grab a share taxi to Siem Reap or get to Samraong first, from where you can either continue onto Siem Reap by share taxi or head east for Anlong Veng. This crossing is very convenient to Anlong Veng but little else. If you are heading to Thailand via this crossing, there is no public transport from the border to any sizeable Thai towns, so you will need to hitch a ride from the border for around 20km to a sealed road, from where occasional public buses pass. You are better off hitching at least as far as Route 24, along which there are very frequent buses. This little utilised border is a 30-minute motorbike ride from Pailin and from the Thai side there are frequent minibuses to Chanthaburi an hour or so away. Cambodian visas on arrival are available. Close to the Ban Pakard, Chantaburi/Phsa Prum, Pailin crossing, this very little-used border is about 45 minutes from Pailin and on the Thai side there are songthaeaw services to Chanthaburi. The Ban Pakard/Phsa Prum crossing is your better bet. This was the first crossing between Cambodia and Vietnam to open to foreign travellers and it remains easily the most popular. Daily buses regularly ply the Saigon - Phnom Penh route and the service is both fast and affordable. Cambodian visa on arrival is available here, but Vietnamese visas must be arranged in advance. This very popular riverine crossing links Phnom Penh with the Vietnamese town of Chau Doc. Both slow and fast boat services are available. When you arrive at the border, a fixer will generally gather up all the passports and head into the immigration office to do all the paperwork. You're welcome to accompany them, but it's not essential. Midway between Ha Tien and Chau Doc, this crossing is open to foreign travellers and Cambodian visas on arrival are available. The closest town on the Khmer side is Kampot or Takeo -- but both are a couple of hours away. There are buses from Ha Tien to the border, though a motorbike ride is far faster. On the Cambodian side, transport is a bit sparse and travellers have reported paying upto $55 for a taxi from the border town of Phnom Den to Kampot. Yes, the Cambodia/Vietnam coastal border crossing is open and travellers with a valid Vietnamese visa can enter Vietnam at the Prek Chak/Xa Xia crossing, a 20-minute motorbike ride from Kep. A moto to the border from Kep costs around US$7 and onwards transport to Ha Tien in Cambodia is available. Cambodian visas on arrival are available. This remote crossing links Ban Lung in northeast Cambodia to Pleiku in Vietnam, with a through trip between the two taking about six hours. From the Vietnamese side, buses run from Pleiku to Duc Co, from where you'll need to grab a xe om for the last 20km to the border. From the border to Ban Lung is a trip of about 70km. Expect to pay US$15-20 to charter a car for the run, $10-15 by moto. 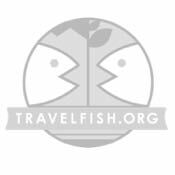 See the visa and border crossings section of the Travelfish forum for reports from travellers who have used the above crossings. Canby Publications also has a good summary of Cambodia's border crossings.